We carry an extensive stock of corrosion resistant super alloys, allowing for a quick turnaround. 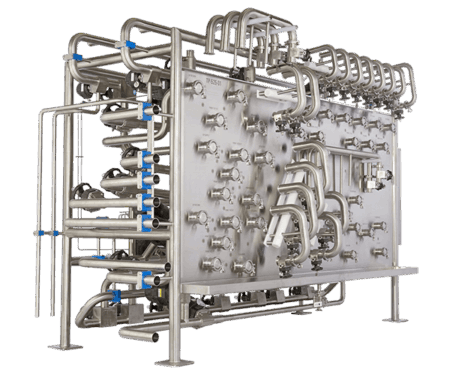 CSI offers a variety of CIP solutions. Browse our full line of products, and let our expertise help you determine what model is right for your process. Nothing is impossible for CSI's design team. We offer a wealth of onsite experience, and we look forward to solving your processing problems. Explore our capabilities and innovative custom equipment. CSI partnered with Rockwell Automation to develop CIP 2.0, a controls system designed for the modern production plant. Learn how CIP 2.0 simplifies tracking and helps you comply with the Food Safety Modernization Act (FSMA). Need a maintenance video, service manual, data sheet, or catalog? Our resource library has it all. See what solutions CSI has designed and implemented for customers around the globe.